In spite of the fact that the new iPad 5 design will look more like an enlarged iPad Mini, some people seem to already miss the current design, or better said the older design. That’s why Deviantart user iNasko decided to go back to the iPad 1 design and create an iPhone in that image. The device adopts a bulky metallic case, with a glass front and some pretty big bezels, at the top and bottom. The lower area feels like an iPhone 3GS, if you ask me. I’m not sure how comfortable the volume buttons and mute lock are, considering those from the first iPad were not comfy either. 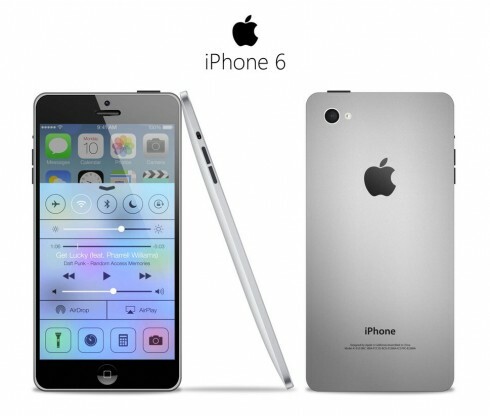 This iPhone 6 concept features a 5 inch display and probably keeps the current 8 MP camera, if I can speculate. I’m not sure if a metal bulky iPhone is the solution right now, since Apple is looking to the future and while that involves big diagonals, it may not involve big bodies as well. The only thing I like here is the feel the metal has in the user’s hand.